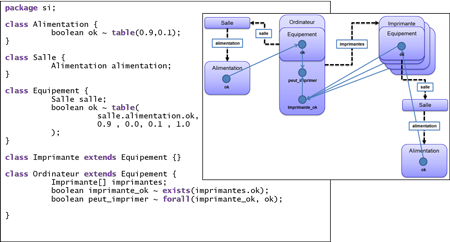 BayesiaLab is a powerful Artificial Intelligence software that provides scientists a comprehensive “lab” environment for machine learning, knowledge modeling, analytics, simulation, and optimization — all based on the Bayesian network paradigm. 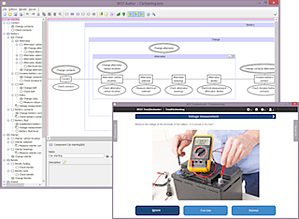 The BEST suite consists of a set of software modules for the design, administration and operational deployment of intelligent troubleshooting applications for complex technical domains. It provides powerful and easy-to-use tools for modeling and disseminating expert knowledge. BEST features machine learning capabilities that can automatically improve models using in-service experience. Additionally, BEST can generate troubleshooting strategies that minimize the cost of performing diagnosis. Bayesia S.A.S. is a French software development company, founded in 2001 by Dr. Lionel Jouffe and Dr. Paul Munteanu, which specializes in artificial intelligence technology. 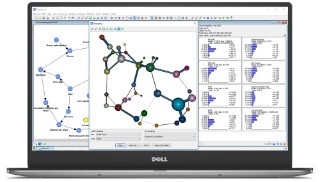 Bayesia's software portfolio focuses on all aspects of decision support with Bayesian networks and includes BayesiaLab, BEST, and BRICKS. Their spectrum of applications ranges from individual decision support to large-scale policy analysis and risk assessment of industrial systems.